The Study UK Alumni Awards 2019 which will be launched on Tuesday 4 September, find the UK’s outstanding alumni and celebrate the impact they are having on their professions, communities and countries around the world. The Awards showcase the impact and value of a UK higher education, while promoting the UK as a study destination for international students. The search is on for graduates of Queen’s living outside the UK, who have used their experience of studying here to make a positive contribution to their communities, professions and countries. Applications and nominations open on 4 September. Queen’s graduates – and their families and friends – around the world are being encouraged to nominate alumni of the last 15 years (see criteria below) to help celebrate their success, and the impact that their Queen’s University Belfast education has had on them and on the communities where they are now living. Applications and nominations are being sought in three award categories – Personal Achievement, Entrepreneurial and Social Impact. Alumni/nominators an select the category they wish to apply for/nominate, however the judging panels may re-assign to a different category where deemed appropriate. Those wishing to nominate a graduate must submit their nominations not later than Sunday 28 October. Alumni also have the option of applying themselves; self-applications close on 11 November. Alumni who’ve been nominated by a third party will receive an email with a link to their nomination and the rest of their application, which they will need to complete before 11 November. 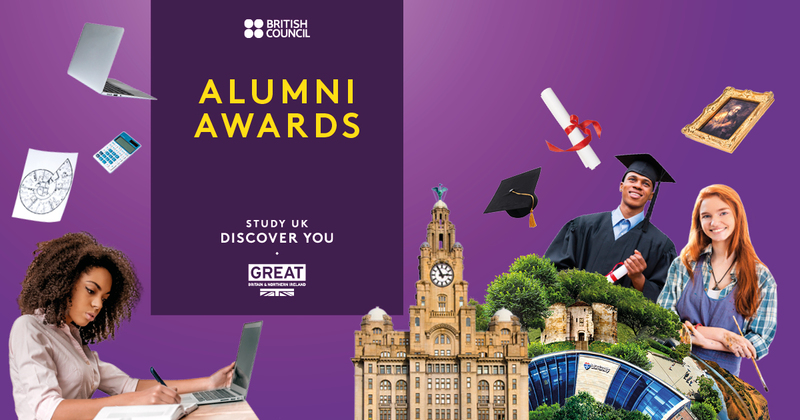 Through the Study UK Alumni Awards, winners are given the opportunity to professionally develop and build their capacity and professional networks, contributing to the overall development of their country. Award finalists are inevitably professionals, entrepreneurs or community leaders. Nominations close on 28 October 2018; applications on 11 November 2018. Find out more about the awards – including the eligibility and judging criteria – on the Study UK Alumni Awards website. A link to apply or nominate alumni will appear on the site on 4 September. Media enquiries can be made to Bryony Inge, Alumni Campaign Manager, Education & Society at the British Council, telephone: +44 (0)207 389 4796 or by emailing alumniaward@britishcouncil.org.